This time Fart Cop, Snow Cop and Fat Cop find a unicorn and wish for various weapon-related enhancements to their crime fighting abilities. Isn’t that what you would do if you found a unicorn? Enjoy the epicness right here, right now. 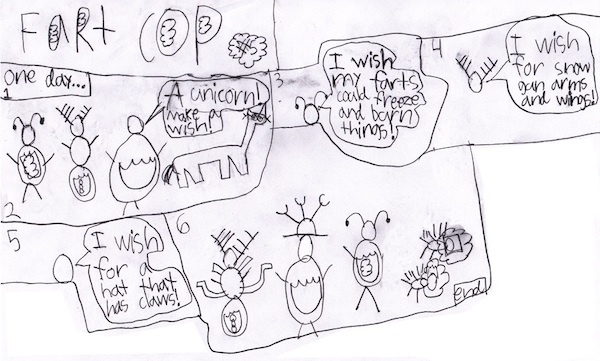 Or click here for a larger size version of Fart Cop 5.